The NHS is facing challenges in delivering better healthcare and managing ever-increasing demand. 70% of all consultations including routine follow-ups could be conducted virtually; whilst post-surgical discharge costs the NHS £1.6bn per year, with readmission rates increasing year-on-year. There is also the increasing demand for virtual consultations in specialised medicine with some hospital departments already using Skype and phone calls for follow-up clinics. However, the existing technology is often cumbersome to use, and medical notes are dispersed in several places. 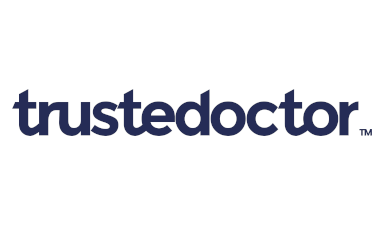 Trustedoctor makes access to specialist doctors quicker, easier and more meaningful. It uses a cloud-based, open platform that allows specialist physicians to quickly engage with and assess patients and consult with colleagues in a convenient virtual setting. Doctors and patients can securely exchange medical files and establish video consultations with live imaging. Trustedoctor eliminates outdated silo networks and works with evolving consumer demands for convenience.